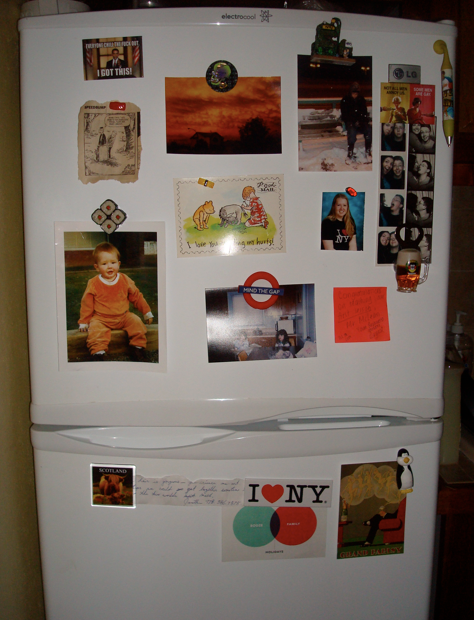 Here is our fridge in Dominica. We brought down pretty much everything that was on our fridge in Vancouver (everything Jocelyn.....). It makes us happy. I will be mailing a better picture very soon. Nope! If you want it off the fridge, you have to come down and take it off yourself.